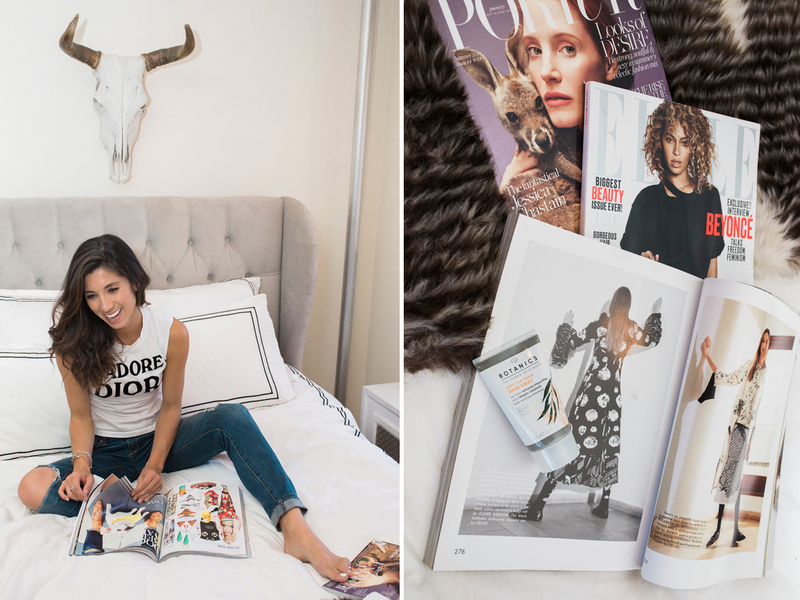 When it comes to my weekly routines, I’ve had a touch and go relationship with Sundays. In fact, I used to hate them. Don’t believe me? I’ve written about it quite affectionately several times in the past, here and here. And I’m probably not preaching anything new here to y’all. Sunday scaries, otherwise known as an excuse for millenials to brunch way late in the day, spend a lot of time on social media into the evening and then wonder how they’re going to get everything done before Monday morning meetings start. Until eventually saying “f- it” and picking up a cheap bottle of wine instead. I’ve definitely succumbed to this. Heck, I still do from time to time. We’re only human after all. And us humans like to get distracted. But you know what? I think I’ve finally turned a corner. It only took me 30 years to realize that Sundays aren’t ALL that bad. For me, it all comes down to little pleasures and routines that I can look forward to. Sundays are usually my day for both rest and catch up. I don’t run or exercise on Sunday (my one day a week to just veg), I usually have a longer phone conversation with my mom (it’s hard to fit in during the week sometimes with the time difference), laundry gets done, Elvis gets an extra long walk to Washington Square Park and I spend a bit more time in bed in the morning reading the Sunday New York Times. I try not to focus on work-related catch up until later in the afternoon/early evening when I’m more settled inside for the rest of the day. That’s when Elvis and I put on some tunes (either country music or Michael Jackson) and the laptop comes out. I’ll get caught up on email, edit photos, organize my editorial calendar for the week — all the while, usually with a face mask on and House of Cards playing in the background. We’ve talked about skin a great deal lately (my last post here) and I have another big skin update coming your way soon, namely about some hormonal prescriptions my dermatologist has me on, but the general spoiler alert is this: I’m slowly getting more comfortable in my early 30s skin. Granted, no one warned me that things might shift and change in this department, post teenage years, but hey, there’s a lot of things you don’t get warned about in life — sh*t happens and you gotta roll with it. So rolling with it, I am. What does this mean for my Sundays exactly then? It’s my chance to pamper my skin and have my own little girls night in with Elvis. If I can avoid it, I’ll forgo makeup for the day, lather on some of my best body creams and slap on an ionic clay mask, like this one by Botanics. Since my skin has been on the oiler side in recent years, I love using a clay mask once a week — it’s much more absorbent and effective at drawing out impurities in my skin, like blackheads and the early stages of zits. This particular mask contains willowbark (a natural, friendlier form of salicylic acid), which I’ve found has really made a difference in tightening and minimizing my pores (because, hey, I got big pores and I cannot lie). The downside though? Elvis hates it when I wear my masks — it’s as if he doesn’t recognize me. I guess he’s the one with the Sunday Scaries now. 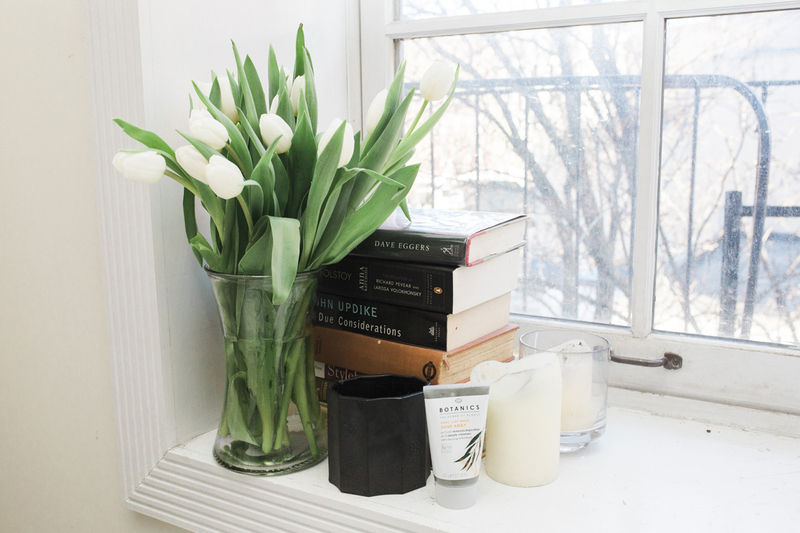 If you’re looking to revamp your Sunday routine (or maybe just want to update your mask game in general for a little Botanics Mask Night), Botanics is giving away their latest ionic clay mask to lucky readers in honor of #EarthWeek. Simply head over to their Instagram now, follow their account and be sure to leave a comment on their #EarthWeek giveaway post. Best of luck! 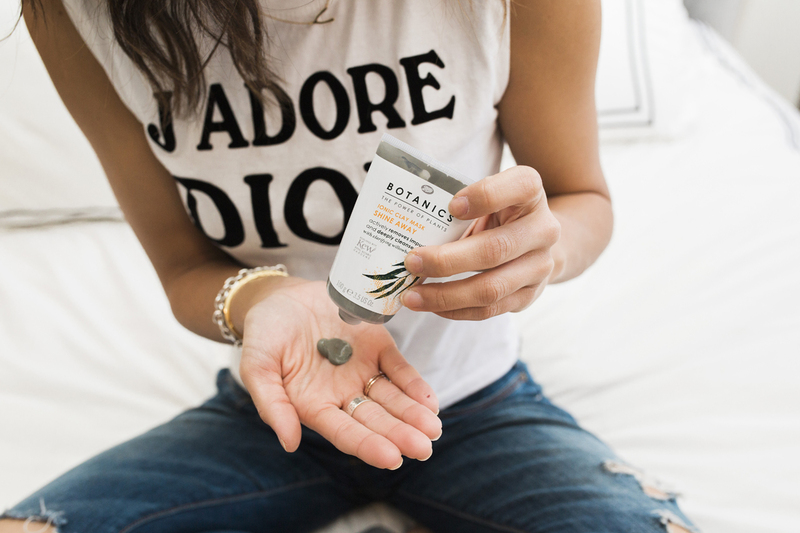 This post was in collaboration with Botanics Beauty. As always, all opinions and styling are my own. Thank you for supporting all This Time Tomorrow collaborations! Uncategorized and personal, sponsored post. I love your bedroom decor!! I still have a love-hate relationship Sundays! Hopefully I'll come around and love it more! Love that T-shirt! I get anxiety every Sunday night! I just need like 5 more hours on Sundays! Botanics' gel moisturizer is my favorite! I use it every morning before I put on makeup because it dries super fast and feels super hydrating! I actually prefer it over my old charcoal Boscia version *gasp*! I've never heard of this product before. Hi, Krystal! 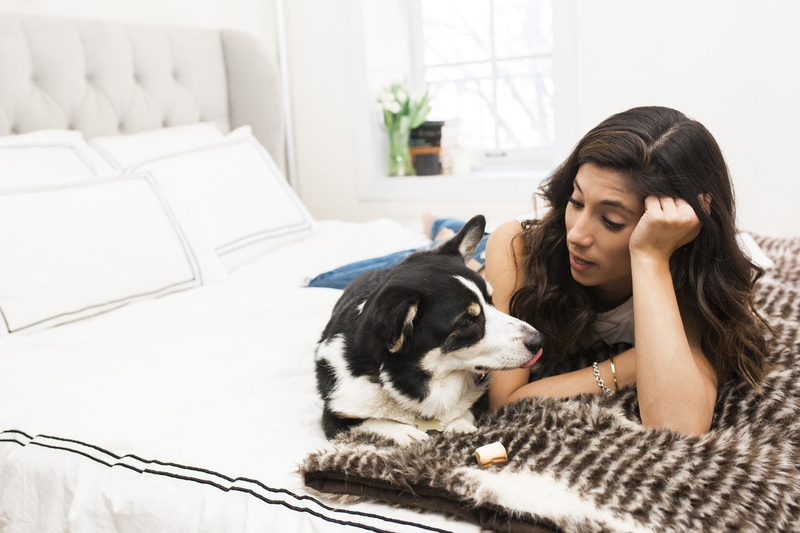 Can you share with us where your bed linens and headboard are from? Thanks! Flawless skin, you look amazing! Love that product! You looks beautiful!